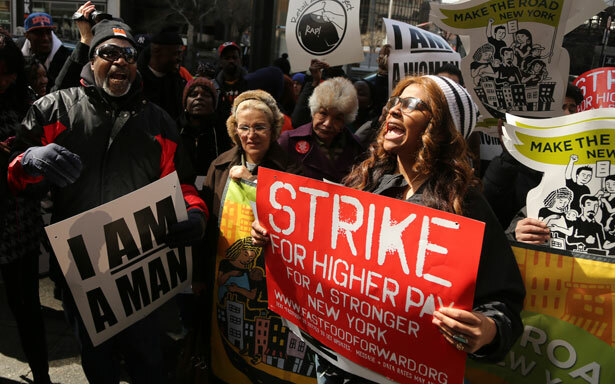 With unions in crisis, alternative labor groups have seen explosive growth. Without automatic dues deduction, how should they pay the bills? With those questions comes another: Who should pay the bills? While alt-labor groups have scored some significant victories, they face many of the same challenges as unions, and a few of their own. That includes the funding question: outside of “Right-to-Work” states, unions with collective bargaining agreements have a secure source of revenue: automatic deduction of union dues (or, for workers who opt out of membership, representation fees) from employees’ paychecks. Alt-labor groups don’t have that option. Some collect voluntary dues from their members, but hardly any are primarily funded by them. Instead, they’re largely funded by foundation grants and by traditional unions. Leaders of some of the country’s top alt-labor groups say that’s a problem. In an April interview announcing a long-term goal of becoming financially self-sufficient, Working America Executive Director Karen Nussbaum told The Nation, “In the long run, that’s the litmus test, because worker organizations that aren’t self-sustaining can’t be democratic.” Working America, an AFL-CIO affiliate for non-union workers that longtime organizer Nussbaum founded a decade ago, currently receives significant funding from the AFL-CIO and unions. In contrast, Arise Chicago Worker Center Director Adam Kader questioned whether dues are necessary for democracy. Interviewed last year, Kader said some such groups already “see themselves as a democratic alternative to unions,” and that there are “lots of unions that receive significant dues but are hardly democratic in structure.” Arise Chicago’s main funding sources are foundations, special events, unions and religious groups. Kader argued that the next major step for groups like his is to develop a broader membership base—not as a new revenue model but in order to mobilize enough people to effect more dramatic change. City University of New York professor Hector Cordero-Guzman, who made grants to alt-labor groups as a program officer at the Ford Foundation and now studies them as an academic, argues the quest for a self-funding model may be self-defeating. “There’s a difference between sustainability and self-sufficiency,” said Cordero-Guzman, and he urged non-union nonprofits to focus on the former rather than the latter. Cordero-Guzman acknowledged the challenges of the foundation model, including that “some funders are a lot more comfortable with individual or organization-level change,” rather than “systemic change” through organizing and confrontational agitation. But within the nonprofit sector, he noted, fully self-financing organizations are the exception, not the rule. He told The Nation that at Ford, he would often tell grantees that he wanted his role in their work to be more like the gas station attendant—providing the fuel the car needs—rather than the driver who decides where the car goes. Along with the questions of how external funding affects alt-labor groups’ democratic character or strategic independence, there’s the issue of their growth ambitions. As alt-labor groups like Working America and the National Domestic Workers Alliance (NDWA) seek to expand their membership and spread their models across the country, they could outgrow the support available from spread-thin foundations and still-shrinking unions. For alt-labor activists, the most appealing funding model may be the most elusive one: building an organization whose work is entirely funded by voluntary dues from its members. The alt-labor group that’s come closest to this goal may be the New York Taxi Workers Alliance, which draws about three-quarters of its budget from dues. That’s an important example, but also a sobering one, because aspects of NYTWA’s success would be hard to replicate in sectors without the licensing requirements and regulatory structure of the taxi industry. As I argued in the Prospect, New York taxi drivers have built power by going on strike—first taking the majority of the city’s cabs out of commission for a day in 1998—and have translated that power into legally binding changes by bringing their demands to the city commission that oversees their intimately regulated industry. That combination has brought NYTWA some significant victories, including a new health insurance fund, and fueled the growth and commitment of its dues-paying membership. A decade and a half after its formation, organizers say about half of the city’s currently active drivers are members. For fashion models or farmworkers, the road to a self-sustaining alt-labor model could be a longer one. Should workers be allowed to sue bosses who retaliate against worker-activists?